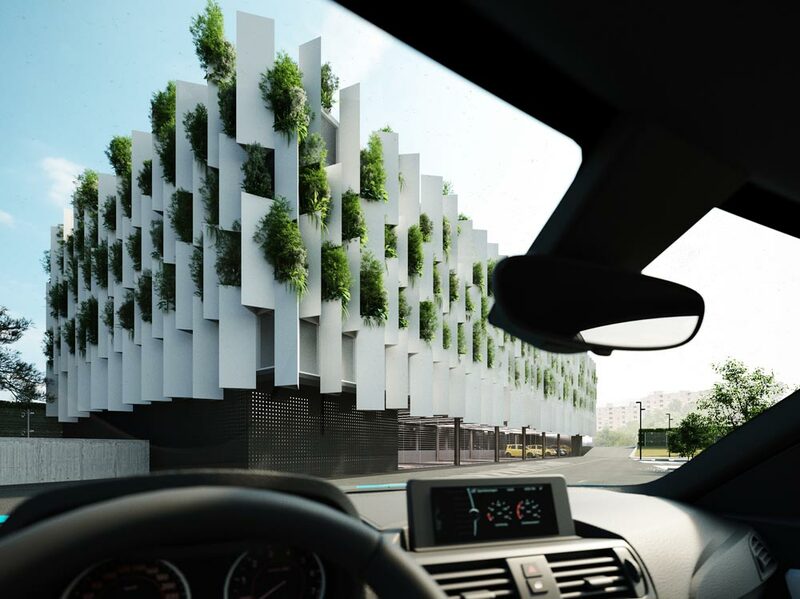 A new mechanized parking to serve the CDI in Milan. 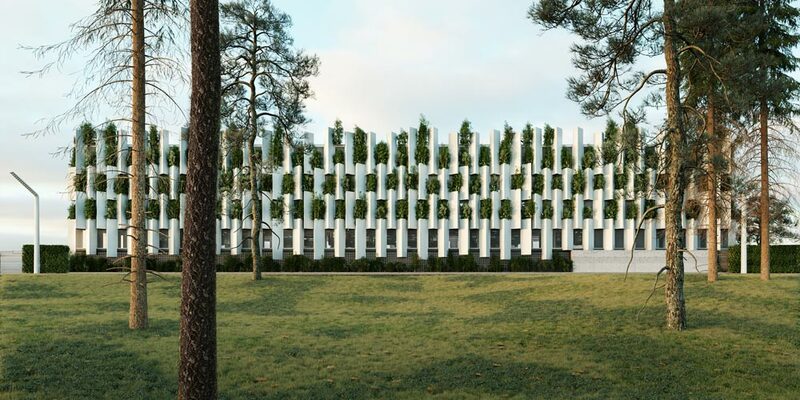 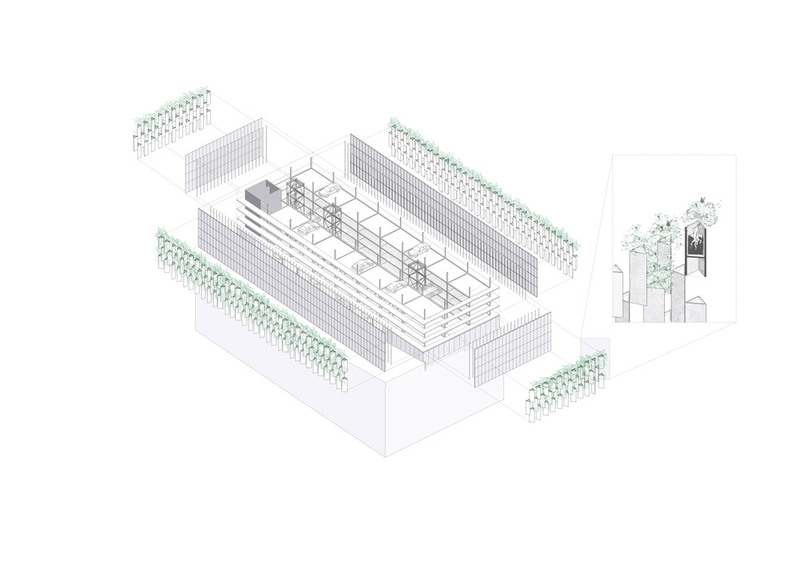 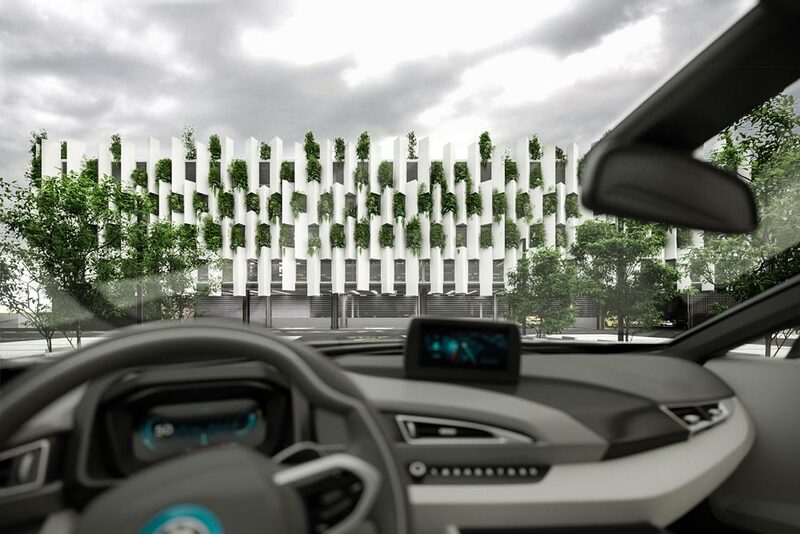 The facade is composed by a series of elements that function as vases to grow plants. 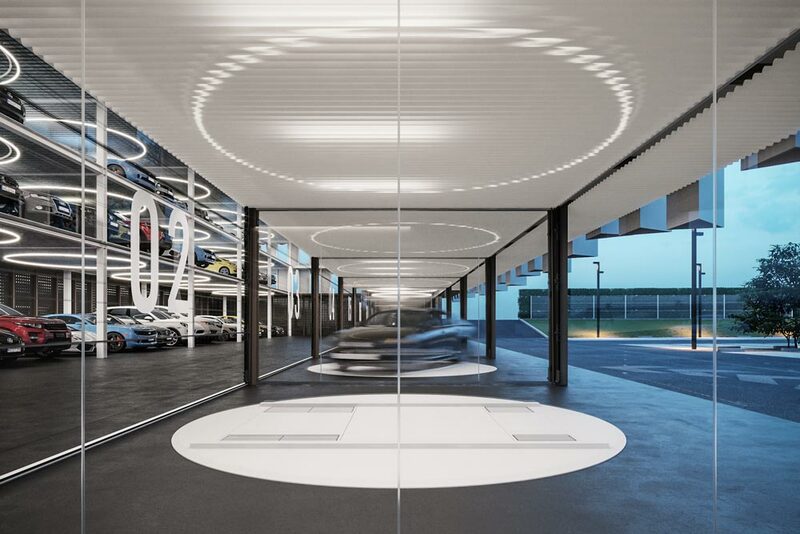 A checkerboard disposition of such elements allows for ventilation and for transparency. 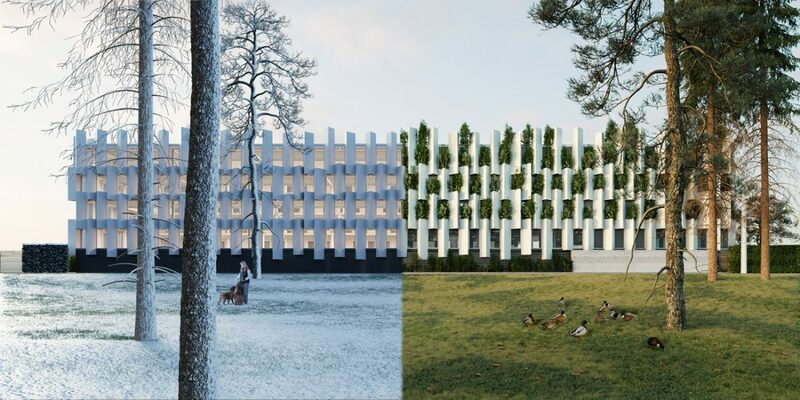 A facade that changes with the seasons grants the building an ever-chaging look.